Days spent in bed are better in Hurley. The dark grey upholstered headboard is on-trend and inviting. 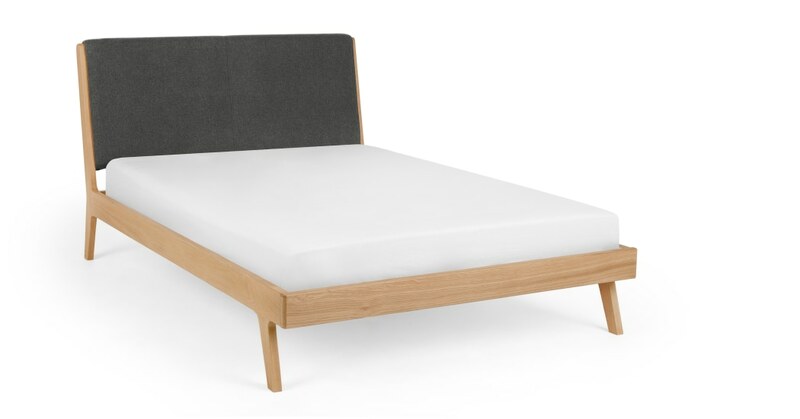 Hurley has a side profile worth admiring thanks to the angled wooden legs.They give this double bed a Nordic charm.